That’s why, over the past year, DSA led a group of nearly 70 business and property owners, residents, government staff, and other stakeholders to develop a long-term vision for the future of Third Avenue. DSA hired consultant ZGF Architects, Fehr & Peers, and ELM to provide expertise on solutions for urban design, transportation, retail, parks and management. Minneapolis opened the renovated Nicollet Mall in 2018, and Denver is embarking on the next phase of its 16th Street Mall. Last spring, DSA staff and members traveled to Portland where they learned how our neighbors to the south created a new management entity to maintain their city’s transit mall after construction. 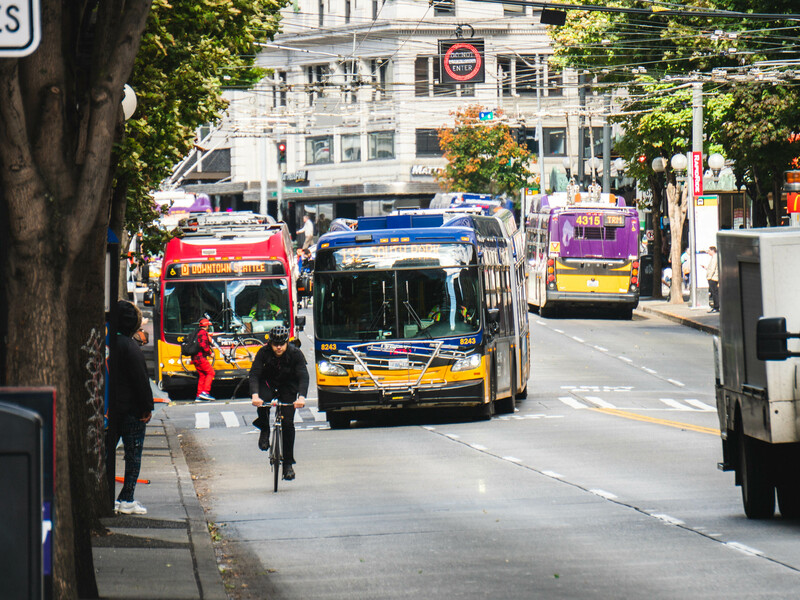 Our work will culminate with the release of the Third Avenue Vision, which proposes four future transportation options converting Third Avenue to a two- or three-lane transitway optimizing bus volumes and maximizing ridership. The result expands sidewalk space for pedestrians and allows businesses to offer sidewalk cafes, window shopping and pleasant dining experiences. The plan also lays out strategies to improve retail, parks and public spaces. Read more about it in The Urbanist or contact DSA’s Jacqueline Gruber at jacquelineg@downtownseattle.org.